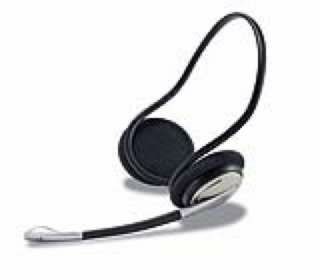 A seasoned iChat user soon realises that the built-in microphone on their Mac is no match for a dedicated microphone, and it's worth investing in a headset if you want to pursue internet phone calls using your broadband connection. The M145s may look unconventional, but you soon get used to them slipping around the back of your head, instead of over the top, and they are very flexible, so you can stow them away without worrying about damage. The M145s worked fine with our test Mac using the USB input - the integrated sound-card chip wasn't needed here, of course, but could prove useful with other devices. Sound quality wasn't as good as with proper noise-cancelling headphones, but was more than acceptable.